The Low Profile series is design by CanCoverIt. It is capable of lights seals for airflow without the need of adhesives, spray foams, or tapes. 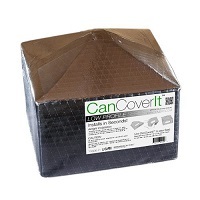 Similar to the Universal Series, the Low Profile CanCoverIt can be installs easily. You will become energy efficient and obtain energy savings.